Jacob is THE BEST GAME MASTER EVER! It was my first time doing an escape room and I did it with 5 of my friends on a Sunday afternoon for my friend's bday. We walked into a room after being introduced to the problem we'd have to solve, and at first I was surprised because there was not much in the room, but there ended up being so many puzzles! It made me super hyped after we got a clue and got to go to the other rooms. Would highly recommend! 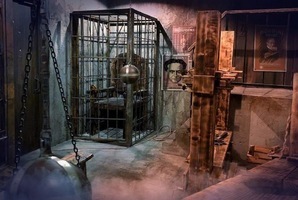 Reviews of escape game "Cartel: DEA Undercover"
Fantastic staff. Easily the best production value in an escape room I've ever seen. Definitely worth your time and money! Tip: follow the instructions they give you at the beginning!